As the number of valid nominations for Reepham Town Council did not exceed the number of vacancies, a contested election will not be required on Thursday 2 May. As there remain four vacancies on the town council, the newly elected councillors may co-opt eligible persons to fill these remaining seats. The co-option should take place within 35 working days of the date of the elections meaning that the co-option should take place between 3 May and 24 June. Reepham Town Council would love to hear from anyone interested in becoming a councillor and would encourage them to contact the town clerk for further information. Elsewhere in the Broadland District, uncontested parish council elections were announced for Cawston, Foulsham, Great Witchingham, Swannington with Alderford & Little Witchingham and Wood Dalling, among many others. Uncontested council elections were also announced in many parishes including in Breckland for Bawdeswell, Bintree, Elsing, Foxley, Lyng and Sparham, and in North Norfolk for Briston, Corpusty & Saxthorpe, and Melton Constable. 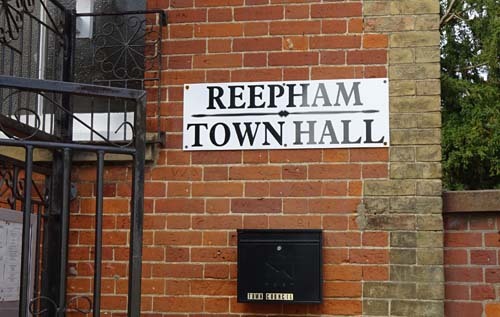 The annual meeting of Reepham Town Council will be held on Wednesday 8 May in the Town Hall, Church Street, Reepham. This will follow the Annual Town Meeting starting at 7 pm, which is also open to the public and press, and will include an opportunity for people to discuss any issues affecting the local community.